We are currently in the task to reshape most of the levels, for an better optical expirience. – Will Giana be able to bounce in Giana’s Return ? Could it be added as an optional feature ? 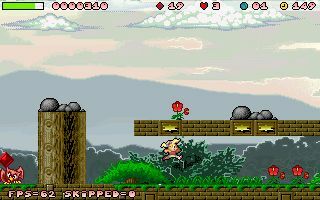 In the original Giana Sisters on the C64, indeed Giana did not ‘bounce off’. BUT: On the Amiga version, which I played to death, she *did* bounce! And I liked that a lot more indeed. 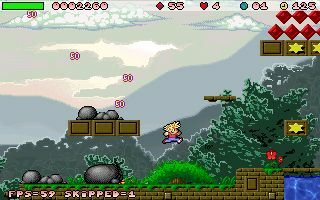 Giana bounces just a bit when she flattens an enemy but can also use it as a bumper (big jump) if the player press the jump button while flatenning. Same here. Thank for the info guys and I am glad to hear that. Honestly, I completely forgot to check the old beta.